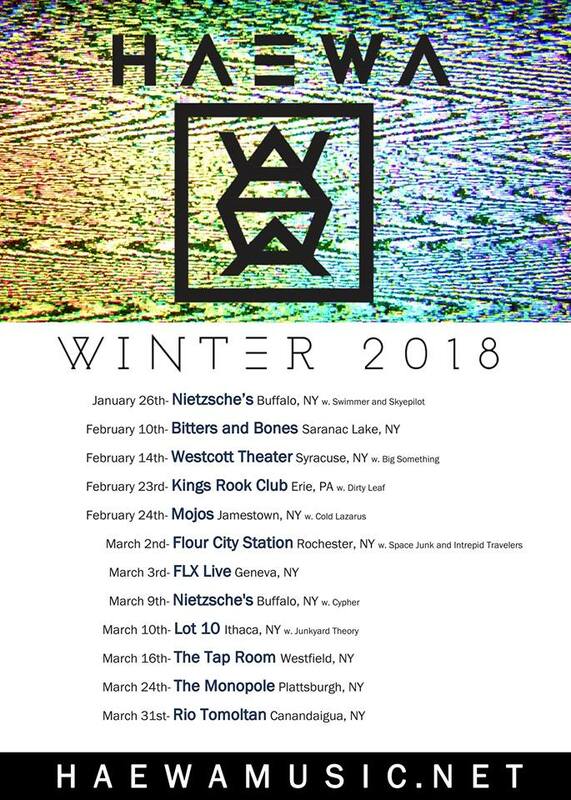 Rochester-based space-rock fusion virtuosos, Haewa have announced their winter 2018 tour. Haewa will be roaring into many notable cities in New York, reaching out from Saranac Lake, to Jamestown, Plattsburgh and beyond. 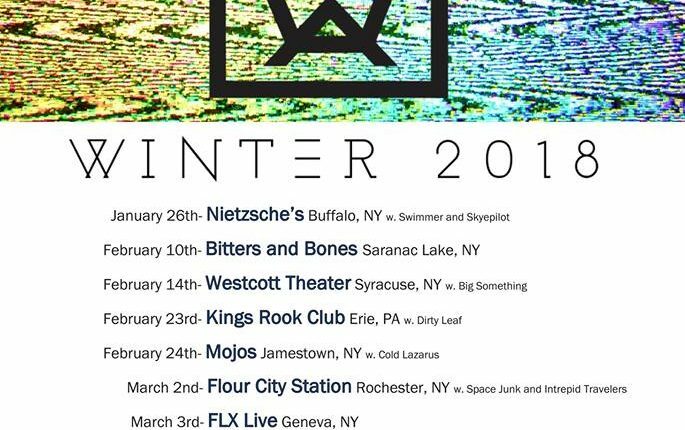 The tour will begin Jan. 26 at Nietzsche’s in Buffalo. Haewa have established themselves as a heavy-hitter in the Rochester music scene by consistently creating a brilliantly unique sound that offers a sonic balance between utter chaos and pure bliss. Their sound encompasses unique songwriting, in depth instrumental compositions as well as pure improvisation. Combining the spirit of rock-n-roll with trance-like electronic influence. Originally a three piece, Haewa has recently acquired keyboardist/synth wizard Troy Evans. Haewa has also has brought in a new drummer, Marco Cirigliano, who is fresh off a tour with the world famous Nelly. Cirgigliano was the drum-for-hire for Sir The Baptist. This will be Haewa’s first tour with the new core lineup. Only time can tell what to expect as Haewa harvests and releases their newest sound.